Guildhall Business & Law, London Metropolitan University’s business school combined with its law school, has been undergoing transformational change. That change, while challenging to implement is now beginning to bear fruit, as the institution draws on a 167-year heritage as the leading provider of professionals for employers in the City of London. In a fully-fledged university setting recalibrated for the second decade 21st century. 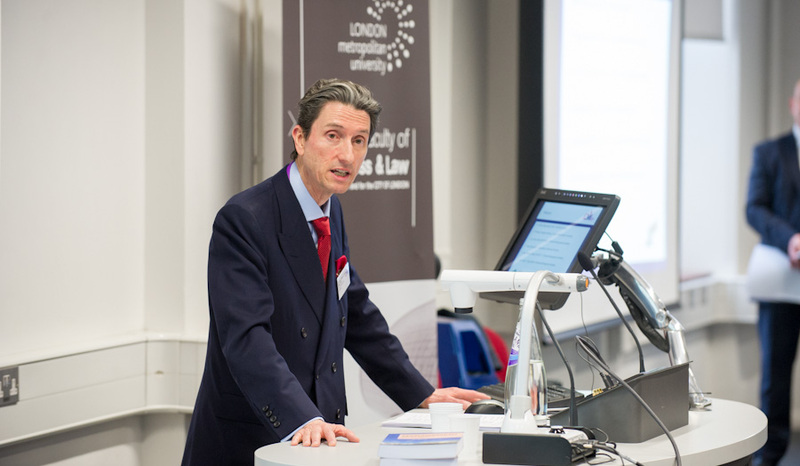 It has to be acknowledged that London Metropolitan University continues to work through a number of major challenges – especially in addressing competitive pressures and the financial strains these give rise to as our sector comes to terms with the contemporary higher education landscape. Various elements have combined none the less to enable London Met’s newest faculty to look forward with confidence as the place where aspirant professionals are helped to become and remain ‘business-ready’. First the ‘combi-faculty’ itself: when in 2013 the University Board of Governors decided to rationalise London Metropolitan University into four large faculties, the opportunity was taken to find ways of discovering synergies in the creation of a new faculty comprising three schools – business, law and management, and recently adding a fourth focused on continuous professional development. Second of course there’s the location. While over the past decade or so others have entered ‘the City’ (London’s main financial district) looking for its ‘golden pavements’, the Faculty can lay claim to longevity. With roots going back to 1848 in the form of the City of London College. Since relocating from bomb damaged White Street in 1944 business, law and management have been taught in the iconic Electra House at 84 Moorgate continuously for the past 71 years. One celebrated alumnus, Lord Karan Bilimoria, recently came back to deliver a keynote lecture, mused walking the still-familiar although different corridors of the building how his ideas for Cobra Beer had had their incarnation there. Third, a multimillion-pound investment programme sanctioned by the University’s Board of Governors has refurbished this Grade II listed building. Making it not only fresh-looking as a convivial study space; but also a high-tech learning environment, with its Bloomberg, IBM and ‘active learning’ Synergy Suites notable features. Wowing offer holders when they visit to complete their due diligence before accepting a place to study with us. Student marketing colleagues remark how much impact the place is having on ‘conversion’ of offer holders into acceptances leading to enrolments. Guildhall – the clue is in the name! Resuming our association with that celebrated sub-brand in August 2014 and restoring historical links with the professions in the City, and expanding into the new high growth sector emerging around Old Street’s so-called silicon roundabout and ‘creative’ Shoreditch, means that the ‘lived experience’ in and around the Electra House campus is a unique draw. Offering courses in the creative and cultural industries, and underscoring the skill sets developed with all the traditional business, management and legal subject disciplines forms a compelling synergistic offer. Talking with our students they are clear – course combined with location is what makes the difference. And our new micro websites associated with recruitment campaigns in Africa, Asia and greater Europe, through our agents, Study Bridge and Study International, are taking the messages successfully beyond the UK. Over the past three years, our activity has not been limited to refurbishing buildings and communicating our offer far and wide, to assure financial sustainability. Our major focus on academic sustainability is showing positive results measured against publicly verifiable indicators. Guildhall students were recently commended as achieving the highest ‘good degrees’ across the University, measured to the national benchmark; the highest pathways to employment (DLHE survey findings of 93% in work or further study six months from graduation); and pushing satisfaction levels upward by 5% in the most recent published NSS findings – with 90+ and even 100% scores for some courses. In research terms, Guildhall has also punched above its weight with headline business and management rankings above main competitors in the 2014 REF. The Faculty is of course also a major centre for enterprise, supporting the wealth of small and medium sized businesses on its doorstep and beyond. With encouragement during a visit from Lord Young, the Prime Minister’s enterprise guru, Guildhall has made a submission for Chartered ABS’ Small Business Charter recognition. As might be expected the Faculty has delivered the most significant amount in the University’s most recent HE-BCI Survey return. Guildhall Business & Law focuses on educating for continuous professional development. It’s a privilege to lead the community of Guildhall experts. As I look back over the past three years since taking on the role of Dean, it’s clear that those people combined with our location and the experience offered to enrich the working lives of all stakeholders is very special. Our leadership team is looking forward to seeing how it blossoms forth over the coming period. We remain on course to be first choice among candidates in our targeted sectors.